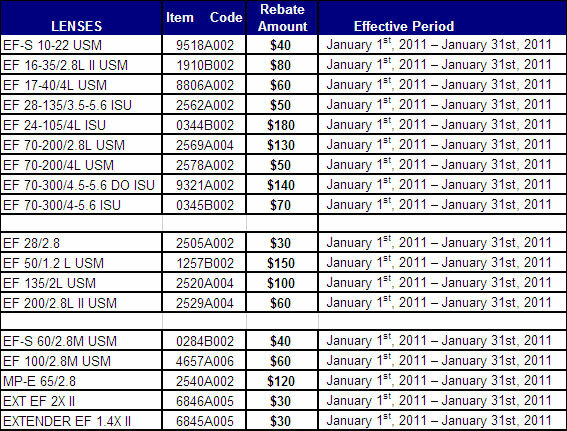 Canon has introduced some new rebates for January as detailed below. Remember, these are instant rebates that we apply at the till, so you do not need to mail anything in! 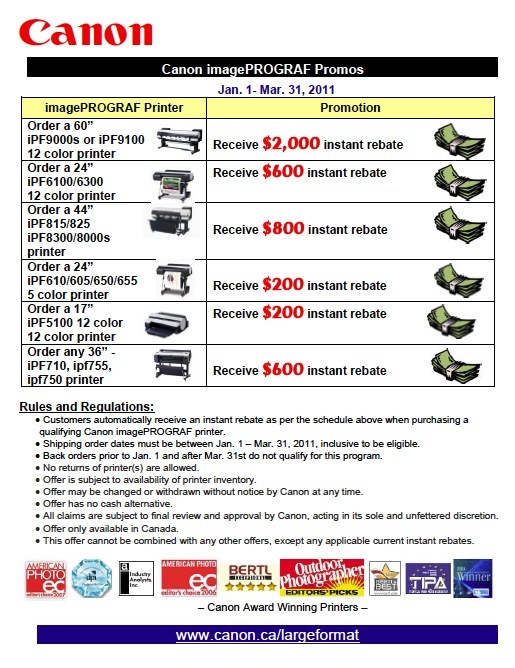 For more PowerShot and small printer rebates, please contact us!